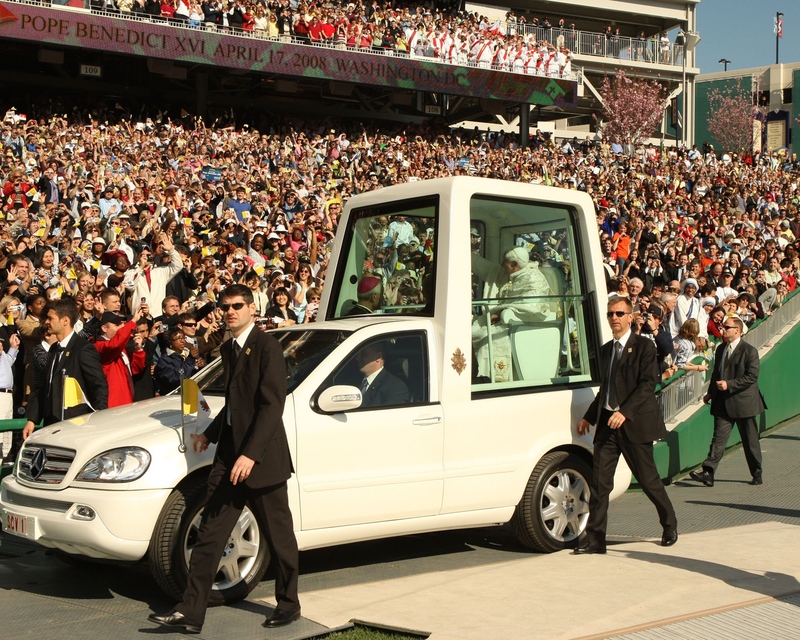 Anyone have a fast, solar-powered electric popemobile for his holiness?The Vatican says Pope Benedict XVI would gladly use one as another sign of his efforts to promote sustainable energy and take care of the planet, but one has yet to be offered. Cardinal Giovanni Lajolo, who runs the Vatican City state, said Wednesday Benedict would certainly prefer an electric popemobile to a traditional, petroleum-powered one given the priority he has given to making the Vatican a leader in green energy. His comments came during a presentation of a book on the Vatican’s ecological efforts: “The Energy of the Sun in the Vatican.” The book documents the 2008 installation of photovoltaic cells on the roof of the Vatican’s main auditorium and the 2009 installation of a solar cooling unit for its main cafeteria. The Germany-based firm SolarWorld, which provided the photovaltaic cells on the auditorium, said Wednesday it has discussed the idea of providing the pope with a solar-powered electric car. SolarWorld marketing chief Milan Nitzschke said the main hurdle is to get the Vatican security apparatus to sign off on it, since some still have concerns — unfounded, he said — that electric cars don’t accelerate as quickly as traditional ones. “It’s really no problem,” he said, noting that electric cars can go from 0-100 kph in three seconds. Susan Crane is no stranger to prisons. The longtime anti-nuclear peace activist, a resident of the Jonah House community in West Baltimore, has already served five years for various peace actions – including a 1999 protest at the Warfield Air National Guard base in Middle River, where she and three others hammered and poured blood on two A-10 Warthog aircraft. The demonstrators tried to raise awareness that the planes had the capacity to fire depleted uranium. Crane is at it again. One year ago on All Souls’ Day, she used a bolt cutter to rip open chain-link fences at a U.S. Navy nuclear weapons storage depot in Bangor, Wash. Working with two Jesuit priests, a Sacred Heart Sister and another lay woman, Crane helped sprinkle blood on the property and symbolically hammered on roadways and fences. 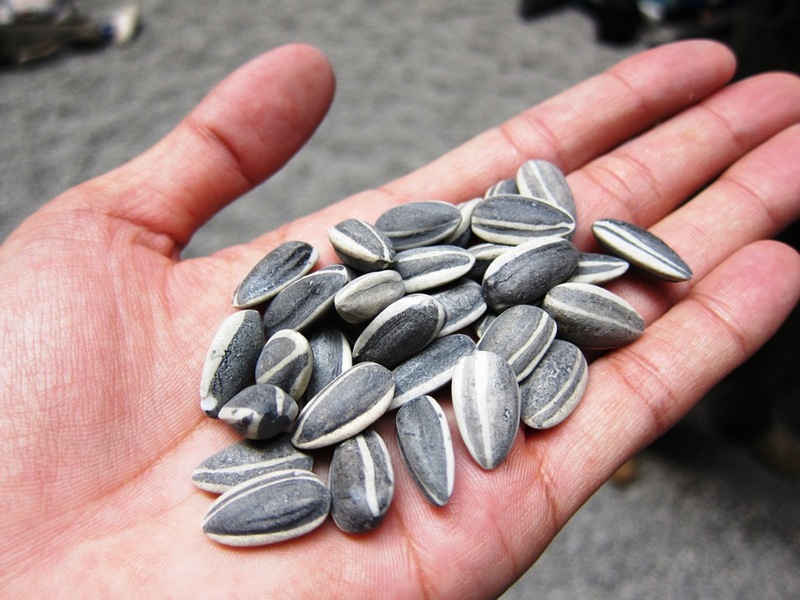 The Catholic peace activists unfurled a banner that declared Trident missiles to be “illegal” and “immoral.” They also scattered sunflower seeds – the international symbol of nonviolence. Charged with conspiracy, trespass, destruction of property on a naval installation and depradation of government property, Crane and the others await the start of a Dec. 7 federal trial in Tacoma. I had a chance to talk with Crane for a story in this week’s Catholic Review. She was as passionate as ever and not in the least bit remorseful for what she did. She knows she’s facing the possibility of a long prison sentence. No matter what you think of her tactics or position on the issue, I’d encourage you to check out the story and consider her reasoning. She is convinced that her Catholic faith compels her to oppose nuclear weapons. Matysek: Have you given any thought to what you will do if you have to spend time in prison? Crane: I’m a special education teacher, so I would probably teach GED classes. The women are very interested in learning. There’s no lack of work to do. I’d try to get a Bible study group going. The conditions in federal prisons aren’t made to encourage people. They are made to degregate people who are considered throw-aways in society. Matysek: How can you raise awareness about nuclear weapons if you are in prison? Crane: Certainly, inside the prison, there’s a lot of work that can be done and a lot of listening that can happen. A lot of people have written to me and I’ll be able to write to some of them. Matysek: Do you have any regrets for the actions you have taken? Crane: I don’t have regret for going in and saying no to these weapons. I wonder if I can do enough. I do hope other people will think about these weapons and realize how devastating they are. Every president except Johnson has threatened to use weapons against another nation. That’s staggering. We have to stop threatening to use them to get our way. Matysek: If you had not been stopped and arrested after you entered the naval property, what would you have done? Crane: Probably put up our banner and symbolically hammer on the bunker. It’s a symbolic action, yet it’s real. We are saying as clearly as we can we need to disarm these weapons. In the nearly 14 years I’ve covered the State House in Annapolis, I’ve heard a lot of arguments for and against the death penalty. Proponents often insist the ultimate punishment deters violent crime and exacts justice. Opponents say it’s inhumane and unfairly targets minorities. Few people have provided more powerful personal testimony against the death penalty than Vicki Schieber, the mother of a murder victim whose Catholic faith propels her to forgive. Vicki and her husband, Syl, will share their story tonight at the Greene Turtle in Fells Point beginning at 7:30 p.m. as part of the Tap into Your Faith series for young adults. Below are excerpts from a story I wrote a few years ago in The Catholic Review, along with a CR video clip featuring Vicki. The Schiebers will discuss much more at tonight’s talk and answer questions. Everyone is welcome. When police arrested the man who brutally raped and murdered Shannon Schieber in 1998, the Schieber family faced unrelenting pressuring to seek the death penalty. ﻿﻿﻿The district attorney, prosecutors, members of the media and others in Philadelphia assured Shannon’s parents that putting their 23-year-old daughter’s killer to death was the only way to serve justice and bring them “a sense of closure.” Some even implied that failing to pursue the death penalty was a sign they didn’t really love their daughter. Reflecting back on those heart-wrenching days, Vicki Schieber, Shannon’s mother, said her family was “re-victimized” by the debate surrounding the death penalty. Knowing the Catholic values her daughter embraced, Mrs. Schieber said there was no way she could demand the taking of another life. “The death penalty wasn’t going to honor Shannon’s life and it wasn’t going to bring her back,” said Mrs. Schieber, a parishioner of Blessed Sacrament in Washington, D.C., who spoke at a Nov. 7 forum on the death penalty sponsored by the archdiocesan respect life office at the Cathedral of Mary Our Queen in Homeland. Mrs. Schieber’s request for a sentence of life without parole was ultimately given to Troy Graves, who also pleaded guilty to 13 other sexual assault in two states. Shannon was gifted “beyond belief,” according to her mother. At 18 months, she was already reciting the alphabet — forward and backward. By the time she was 3, she was reading at a second-grade level. In school, Shannon earned top grades, serving as president of her high school and president of her freshman class at Duke University, where she graduated in three years with a triple major in mathematics, economics and philosophy. Shannon was also very committed to social justice. She earned a full scholarship at the prestigious Wharton School at the University of Pennsylvania, Philadelphia — not with the intent of making boatloads of money for herself, Mrs. Schieber said, but to have a successful career in finance so she could help the poor. To pursue the death penalty would have put her on the same footing as the murderer himself by being willing to take a life to satisfy one’s own ends, Mrs. Schieber said. It is wrong to suggest that executing people brings a sense of closure, according to Mrs. Schieber. Every time she sees a beautiful young family in church, she is reminded that her daughter will never have the chance to marry and raise a family of her own. Even if the killer were executed, those reminders will persist throughout her life, Mrs. Schieber said. “There is no such thing as closure when a violent crime rips away someone you love,” she said. Mrs. Schieber pointed out that the death penalty is a human institution and subject to mistakes. More than 120 people have been exonerated for murders they did not commit, she said. At a practical level, the death penalty is also a waste of money, according to Mrs. Schieber. 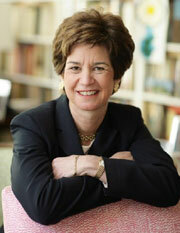 Sustaining the death penalty infrastructure and appeals process costs millions of dollars per case, she said. “It only costs about $50,000 (annually) to keep my daughter’s murderer in prison,” she said. As the Maryland General Assembly is expected to debate a bill replacing the death penalty with sentences of life without parole, Mrs. Schieber urged Catholics to sign petitions in support of the effort to help convince lawmakers to support a culture of life. “All life is sacred,” she said. (CR Photo/Owen Sweeney III) Sis Carnes and Little Sister of the Poor Lawrence Pocock share a conversation. Thom Loverro of The Washington Examiner has a nice column about how the phrase “playing the Little Sisters of the Poor” has become one of the ultimate sports insults. I’ve visited St. Martin’s Home for the Aged in Catonsville many times, where I’ve seen the Little Sisters of the Poor care for the sick and dying. I can testify that these heroic women definitely ain’t no patsies. 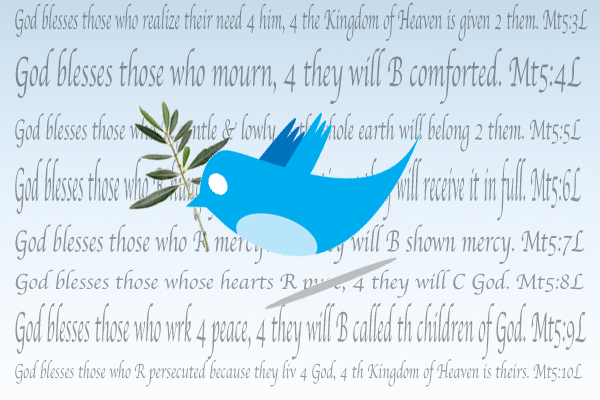 Here’s an article in The Catholic Review that describes their work in much detail. Ohio State president Elwood Gordon Gee caught some heat last week for insulting the quality of opponents Boise State and TCU face on their football schedules in the continuing debate about the BCS and the crowning of a national champion. 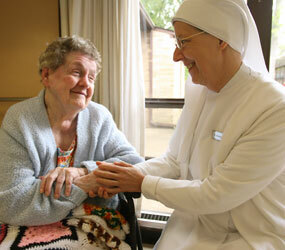 What is it about the Little Sisters of the Poor? Why, in every sports debate that comes up about quality of opponents, does somebody like Gee feel the need to disparage the Little Sisters of the Poor? They don’t even have a football team. The fact is the Little Sisters of the Poor is a fine Roman Catholic religious order for women that helps the elderly poor in 31 countries around the world. They deserve better than to be defined as schedule patsies.